“We are a 4-member team of ‘Development and Investigative Journalists; Iliya Kure, Ibrahima Yakubu, Mohammad Ibrahim and Bashir Bello, who do their work professionally, and in line with ethics of the profession. We report our stories on the following media: The New York Times, The Oslo Times, E-Global (Portuguese), Voice of America, Deutsche Welle (Radio Germany), The New Nigerian Newspapers, Peoples Daily Newspapers, The Nigerian Pilot Newspapers, and Africa Prime News Online. No doubt, we visit communities and report our findings on various media platforms – other media organisations curl and report our development and investigative stories. Due to journalistic quality of our work, media organisations have asked their reporters in Kaduna to do follow-up on stories we investigated. It came to our notice that on Tuesday, 20th September, 2016, Sight Savers International has issued out a press release, purporting that the story our various media organisations published after we visited Iri community in Kajuru Local Government Area of Kaduna State to be false. We want to say that as a team, WE STAND BY OUR STORIES, that what our various media outlets carried were indeed reports reflecting the truth about our findings in Iri community. Let it be known that we are a team of journalists with integrity, if any is in doubt, they should enquire further about our character and the kind of stories we write. During the visit to Iri, we conducted interviews with residents, and found a number of people who became blind in the last four years, most of them are retirees and children who came back to the village after serving the country from various locations – they only became blind when they returned home. From their testimonies, there is no way anyone can link the cases to older ones, especially the cases of people below the age of 20 years. We also established absence of recent surveillance visit to Iri by any government official, or development partners, including Sight Savers International to the community prior to our visit. Sight Savers International should tell the world the last time they were in Iri prior to our visit. The Mectizan distribution system is run by youth in the community. The youth go to Local Government Secretariat in Kajuru to collect the drugs and distribute same to residents without external supervision. No one can attest whether the right dosage is administered or not, creating a gap. The Monitoring & Evaluation unit of the LGA have in 2015 discovered a case of river blindness in Agwala community, Afogoh District. 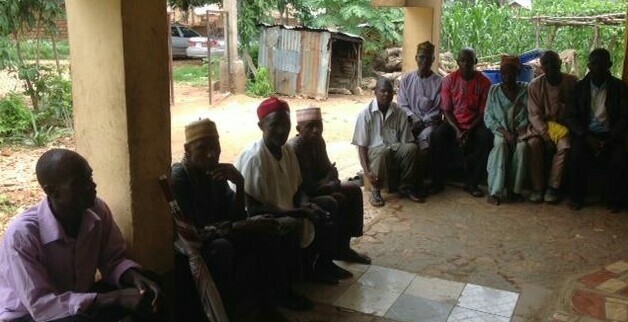 The LGA has knowledge of a researcher from ABU Zaria who conducted a survey in 2015 in Unguwan Fada community and confirmed cases on people, as well as the black flies carrying the causative agent. We naturally would not have responded to the press release, but what is worrying is the way Sight Savers International is going about to discredit the stories we did. When Sight Savers took its press release to the NUJ Press Centre in Kaduna on Tuesday 20th September, 2016, they were openly cajoling some journalists in order to carry their press release. Do they have to cajole anyone for a press release to be treated? When issues of this nature arise, one would have expected Sight Savers International to hold a press conference, where they will make public their findings, and avail journalists the opportunity to ask questions; this will throw more light on the issue, but instead they chose the wrong path. We challenge Sight Savers International to take journalists to Iri and give them free access to interview the residents. The journalists should also be taken to the two rivers, very early in the morning and let the journalists come out with independent opinion on the issue. Our story which followed journalists standard was done in good faith to draw attention of relevant authorities and stakeholders to act on the issue. If Sight Savers International is among agencies and organisations that visited Iri community after our stories – it is good that they visited, because they were not doing so before. They have woken up to their responsibility of surveillance. The plight of pregnant women in Unguwan Kanti community in Igabi LGA, plus absence of water in same community. As a result, today the community have a borehole sunk by Nigerian Army General Officer Commanding (GOC) 1 Division Kaduna. A student NGO, ENACTUS of Kaduna Polytechnic have also constructed the first West African Earth Dam in the community. A health based institution (Womenhood School of Health Science Kaduna) is working with the community to train some women in skill attendance for childbirth delivery. The poor state of emergency unit of Doka Hospital, along Kaduna-Abuja expressway. A call for expression has been published by Kaduna State Government to upgrade the Hospital to Trauma Centre. An investigation on absence of Doctors (on night shift), in 3 General Hospitals in Kaduna metropolis. Today patients can speak about some of the changes they are witnessing in the investigated hospitals. The plight of pregnant women in Kakura community in Chikun LGA, plus absence of water in same community. (A fellowship, conducted with other journalists) As a result, today 2 boreholes are being sunk in the community by the General Officer Commanding (GOC) 1 Division Kaduna”.